Does your child require a school physical to begin the school year, participate in a sport, or join a club? If so, and you live near the Costa Mesa, California area, visit the health care professionals at Vital Urgent Care. We know that getting your child to their school physical can be a hassle, especially with your busy schedule. 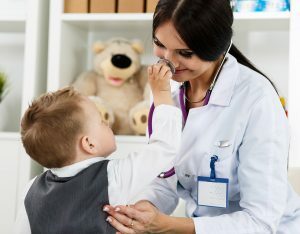 Thankfully, our highly trained staff and conveniently located, state-of-the-art facility allow us to easily provide prompt and accurate physical examinations for students of all ages. For more information about how we can provide a convenient and hassle-free school physical for your child, contact Vital Urgent Care today. Unlike some urgent care clinics in the Costa Mesa, CA area, we are open seven days a week, 8am-8pm Monday through Friday, and 9am-5pm on the weekends. We also accept walk-in patients, and no appointment is ever needed in case you forget to schedule your child’s physical with us. If you have any additional questions, give us a call. One of our friendly staff members will be happy to answer any of your questions.